You can contribute to an IRA if you have earned income. 1. Is IRA Interest Income Taxable Income? 3. Can You Buy Oil Royalties Through Your 401(k)? When you own stock, you have a small piece of a company and are entitled to participate in the company's fortunes. If the company earns a profit, the board of directors may vote to pay part of it to the shareholders in the form of a dividend. The Internal Revenue Service considers dividends taxable income. However, you can defer or completely avoid those taxes if you hold your stock in an individual retirement account. One of the tax advantages of holding investments in your IRA is tax-deferred growth. Any interest, dividends, capital gains or other growth your investments produce occurs in a kind of tax vacuum. You don't report dividend payments made in your IRA, and the increase is not taxed as long as it remains in your account. You can typically take a tax deduction for your contributions to a traditional IRA, but the IRS will get its pound of flesh at one time or another. With a traditional IRA, you must pay taxes on the money as you withdraw it from the account. Your distributions are taxed as regular income in the year you receive them, regardless of how the money was earned. Dividends, interest income and capital gains are reported and taxed the same way when they are distributed. 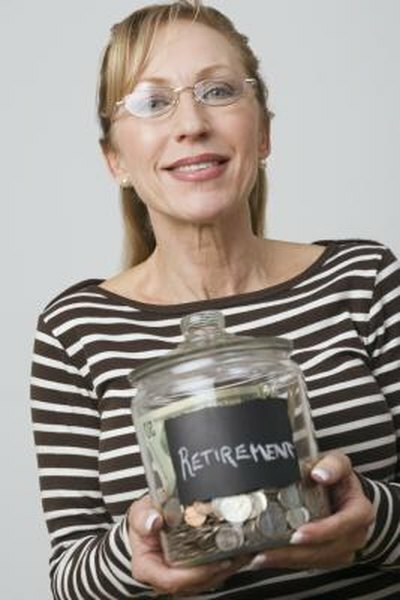 Investments held in your Roth IRA receive the same tax treatment as those in a traditional IRA. They are allowed to produce dividends or other growth without incurring a current income tax liability. You don't report dividends on investments held in your Roth IRA to the IRS. If you withdraw the earnings from your Roth account too early, they are taxed as ordinary income and you may be subject to a 10 percent early distribution penalty. Since you can only make contributions to your Roth IRA with after-tax dollars, you can withdraw an amount equal to your contributions anytime you want, without paying additional income taxes. Any growth from dividends, interest or capital gains must remain in the account to avoid income taxes. Once you have held a Roth IRA for at least five years and meet one of the IRS' other requirements such as being 59 1/2 years old, you can take tax-free distributions of the earnings portion of your Roth IRA. IRS: Publication 590: Are Distributions Taxable? Are Capital Gains in Roth IRAs to Be Taxed?